It is the end of the "Miracle Age" of Antibiotics, more and more we are seeing resistant bacteria, the MRSA Superbug is a classic example. After decades of (often inappropriate) antibiotic use in medicine, animal care and agriculture, we are now seeing widespread prevalence of methicillin-resistant staphylococcus aureus or MRSA, and this superbug is now resistant to virtually every single type of anti-biotic. The organism Staphylococcus aureus is found on the skin and generally causes no problems; carriers are more often than not completely healthy. The term MRSA or methicillin resistant Staphylococcus aureus is used to describe examples of this organism that are resistant to commonly used antibiotics. MRSA was first reported in 1961 shortly after the antibiotic methicillin was introduced. If somebody has a weakened immune system, MRSA can take a foothold in the body and cause serious health issues, hence outbreaks in hospitals are common. Infections may be mild such as pimples or boils or infections may be far more serious - for example in the bloodstream, bones or joints. 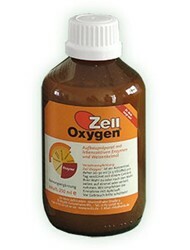 First and foremost we recommend strengthening the immune system with Zell Immunocomplex. 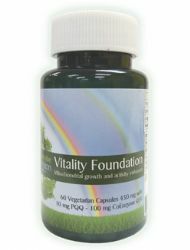 By improving cellular respiration Live Cell Oxygen Immunocomplex aids the strength of the immune system to a significant extent; this in turn has a highly beneficial effect on acute and chronic infections. Live Cell Oxygen Immunocomplex provides an abundance of enzymes, anti-oxidants, trace minerals and Beta Glucans vital for the immune system. Recent research has demonstrated that Beta Glucans cause a significantly higher production of messenger chemicals used by the immune system cells to communicate with each other, in order to carry out the function of identifying and eliminating non-self entities in the body. The natural anti-biotic Colloidal Silver has been shown to kill both MRSA in laboratory tests and unlike traditional anti-biotic therapy, resistant strains fail to develop. Colloidal silver is one of the oldest remedies in the World and can be traced as far back as the ancient Greek and Roman Empires. It is non-toxic, non-addictive and free of side effects; colloidal silver is thought to kill an average of 650 different organisms - compared to the 6 of a standard antibiotic! Another natural anti-biotic Olive leaf Extract has been used in hospitals in Hungary to overcome MRSA with good success rates. Olive leaf extract has been used as a natural antibiotic for thousands of years; when the active components were isolated in 1969, an upsurge of research has resulted in dramatic discoveries. Research at the Upjohn Company, published by the American Society for Microbiology, found that the active components in Olive Leaf - elenol acid and calcium elenolate, inhibited the growth of every virus, bacteria, fungi and protozoa they were tested against. In cases of severe infection where we want to act fast and aggressively, Oxyboost could be used at a rate of one teaspoon every 6 hours. This is a very powerful treatment that is likely to cause most people to feel extremely "hyper", so we would only recommend this in severe, life-threatening cases and only for short periods of time. Lower doses for short to medium to long term use are likely to be helpful. Oxy-Boost has shown to have powerful anti-microbial properties: In direct proportion to concentration Oxy-Boost appears to inhibit the growth or to reduce the colony count of the following general categories of anaerobic (non-air tolerant) organisms - bacteria, virus, yeasts, moulds, fungi and parasites. Tests conducted at several of the largest and most respected independent testing labs in the U.S. have demonstrated Oxy-Boost antimicrobial properties on E-Coli (0-157), Salmonella, Candida, Pseudomonas, Aspergillus and staphylococcus. The supplements recommended for the treatment of MRSA are listed below. Not all will necessarily be discussed in the article, as some may have been added after the article was posted. If a listed supplement is not mentioned within the article, or you wish to know more about any of the listed supplements, you can find out more information by clicking on that supplement below. You can also now add to your basket directly from this page.